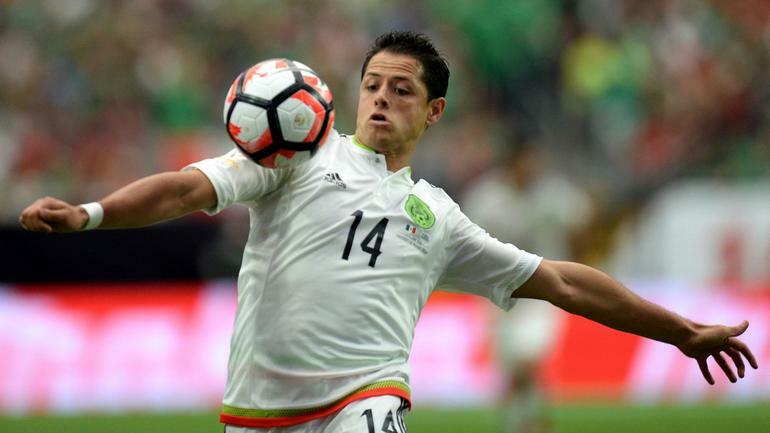 Mexico and the Manchester United striker Javier Hernandez has said that the national team has a lot of work to do in the World Cup qualifier match against El Salvador. The national team began their World Cup qualifying campaign with a 3-1 win over Guyana. Yet, Hernandez reckons that the work is not over yet and they need to continue the good work with victory against El Salvador. Mexico took a 3-0 lead just after the second half began in the match against Guyana. However, Hernandez is of the opinion that Mexico should have won by a much bigger margin than the 3-1 result because they were far superior. He told Man Utd news that there is still room for improvement within the team in the way they play. Hence, he has warned El Salvador that they can expect much better from Mexico in the upcoming World Cup qualifier. Mexico are one of the favourites to get into the 2014 FIFA World Cup due to the strength of their squad in this region. In fact, due to the quality of their young talent that includes the likes of Hernandez, they are one of the favourites to achieve something big at the 2014 FIFA World Cup in Brazil, though Lionel Messi might have something to say about that! “The El Salvador match will be difficult, but we still have to think of the Guyana match because there are things to improve. We should have won by a wider margin. Even winning, drawing or losing, there are always things to improve,” said Hernandez ahead of the El Salvador match. El Salvador, though, can come into the match with confidence high due to the fact that we have won the 2010 World Cup qualifier match between the two sides 2-1. The Mexican coach, though, has said that the current side should not pay too much attention to this match. Last season, Mexican football star Chicharito’s name was in all the fan’s lips, but in this season he appears to be just an afterthought. It would be quite easy to forget that still Chicharito scored a respectable twelve goals in 33 matches and most of them as substitute player, yet there is quite less of an atmosphere when Chicharito’s name appears on the team list these days. 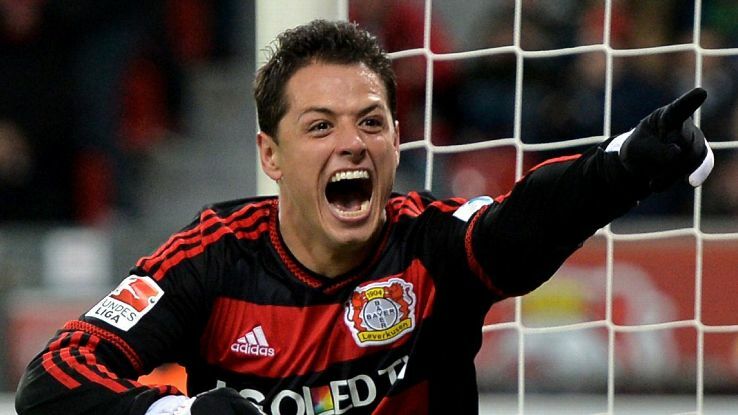 Last year, it appeared a foregone conclusion, that when Chicharito would begin, he would score. At this point of time, the opposite appears to be true. After the match against Wigan, one follower tweeted, “Hernandez…should NEVER start again for the remaining games”. No one exercises the knee jerk action like the Manchester United rooters are capable of doing at times. Many believe that the Mexican lad does not offer the team like Dimitar Berbatov or Danny Welbeck from the beginning of a match. None the less, Chicharito stays as the second most fertile of Manchester United’s strikers this season. Now Rooney leads the field quite comfortably with thirty-one goals in all competitions while Chicharito is the next best with twelve, followed by Welbeck (who has played more matches than this Mexican international) and Dimitar Berbatov with nine goals in all competitions even though he appeared only twenty times in this season, creating him as the most effective of the three. With very little to offer, many consider Chicharito as a spent force in this premier league season. Probably he is suffering from a second season syndrome at the Old Trafford or it may truly be his poor form. Chicharito had a great 2010 World Cup in South Africa and he joined United in that year as a surprise package. That season he proved to be one of the most prominent footballer in United’s Premier League title win. Manchester United striker Javier Hernandez, who is also known as Chicharito, has said that he is not looking to set any goal targets for this season. Javier Hernandez was one of the best players for Manchester United last season after arriving as a pretty unknown entity in the summer. He scored more than 20 goals in his inaugural season at United, which has only increased to the expectations from him this season. He has so far delivered 12 goals for United. Wayne Rooney has been the leading marksman for United this season with 28 goals. It is unlikely that Javier Hernandez will be able to match Rooney’s record this season. With only a few games remaining in the season, many have been expecting to see Javier Hernandez return to the first-team action with a lot of goals. The Mexican forward, however, has said that he has not set any goal targets for this season, and is looking forward to win the Premier league title more than anything else. United have the opportunity to win the record 20th Premier league title if they see off the challenge from Manchester City. Hernandez also praised striker Wayne Rooney by saying that he is one of the most complete players he has played alongside. “My only target is to win the Premier League. It doesn’t matter if I score a lot of goals if I don’t win anything with the club. The most important thing is the team and [for the team] to win all the trophies and cups. People ask me all the time if I have a target of goals, and I always respond that the goal is a consequence of the effort of all the team,” Hernandez told ESPN. Hernandez also revealed that he is spending a lot of time in the gym in order to compete in the Premier league. Manchester United striker Javier Hernandez, also commonly known as Chicharito, has said that he is certainly not worried about the sub role he is having to play at the moment. Javier Hernandez is not the first choice for manager Sir Alex Ferguson at the moment. He has spent some time on the injury table recently, which seems to have brought other players into contention for the same position. Players like Danny Welbeck have emerged as a real alternative for Javier Hernandez. In the last few weeks, for Alex Ferguson has been picking Danny Welbeck more often than not, which has led to a substitute role for Javier Hernandez. However, the Mexican international, who scored 20 goals last season, has said that he is not worried about the substitute role, as he feels that he will get the opportunities at Manchester United are provided he proves his fitness and form. Despite being a newcomer to the Premier league last season, Javier Hernandez managed to secure 20 goals in all competitions for Manchester United. He was influential in helping Manchester United lift the record 19th Premier league title last season. Javier Hernandez has said that he expects to be back into the first-team fold soon, as he has scored three goals in the last three matches. “I don’t play any different. If I play one minute, 10 minutes or 90 minutes I try to play the same. My mind is always to do my best and help my team. Every player in every team wants to play as many minutes as possible, but I don’t care if I start or I’m a substitute. I just want to enjoy it. I am living a dream to play for Manchester United,” he told the official website of Manchester United recently. Manchester United striker Javier Hernandez has said that the club has enough strike force within the squad to enable them to challenge Manchester City to the title. Manchester United are currently behind Manchester City in the title race and it is quite clear from the squad strength of Manchester City that has Ferguson needs to strengthen the strike force at Manchester United. However, Javier Hernandez has disagreed with such comments by saying that Manchester United have all the resources they need at the moment. Javier Hernandez is currently out with an injury, but is scheduled to return to first-team action soon. Manchester United have a number of strikers on-board at the moment. This list includes the likes of Wayne Rooney and Dimitar Berbatov, while it will also include the likes of Danny Welbeck and Ravel Morrison. Defeat of Berbatov has been finding hard to get games at Manchester United, which have led to reports suggesting that the Bulgarian is set for a return to Germany with his former club Bayern Leverkusen. The German club are currently challenging for the title and they will be looking for all the help that they need. The arrival of Dimitar Berbatov should strengthen the team enough in order to challenge Bayern Munich. “Everyone knows [Dimitar] Berbatov is a brilliant player. His touch and technique are unbelievable. Then you have Wazza [Rooney], who is a world-class player, and Danny Welbeck, who is doing very well this season. Kiko [Macheda] has gone out on loan but is another good striker, as is Mame [Biram Diouf],” he told the official Manchester United website. It will certainly be interesting to see if Sir Alex Ferguson will be willing to drop Dimitar Berbatov for Javier Hernandez when the Mexican eventually returns from the injury treatment. Chicharito’s injury came in a match that bizarrely saw 3 players limp off the field having suffered injuries that were nothing to do with challenges. The Mexican was first, being stretchered off after an 8-minute treatment having turned his ankle while entering the box. Next was Villa keeper Shay Given, who tweaked his hamstring while racing out to make a clearance, and finally Jermaine Jenas left the pitch after pulling up while running. This season, Hernandez has scored 6 league goals, but he has scored them at crucial times in matches, earning his team an extra 8 points. Four of his goals have come in games that no-one else scored in, and 3 have been since the disastrous game with Manchester City, when Manchester United most needed someone to step up. Ferguson later confirmed that it was ankle ligament damage, and that he expected his super-sub to be out for around 4 or 5 weeks, meaning that the striker is set to return some time near the Christmas and New Year fixtures. In the mean time, with Rooney scoring for the first time in 10 matches against Wolves, some of the less favoured strikers will be hoping to be given a few performances. Welbeck looks likely to become a regular United striker, with Ferguson starting him a few times already this season, and Macheda is back from a loan spell last season. More surprisingly, the 2010/11 season joint top scorer Berbatov has been all but forgotten this season. He has been given very few chances to play this season, and has only scored against Aldershot and Benfica, being played in games that are usually given to United’s second team players.